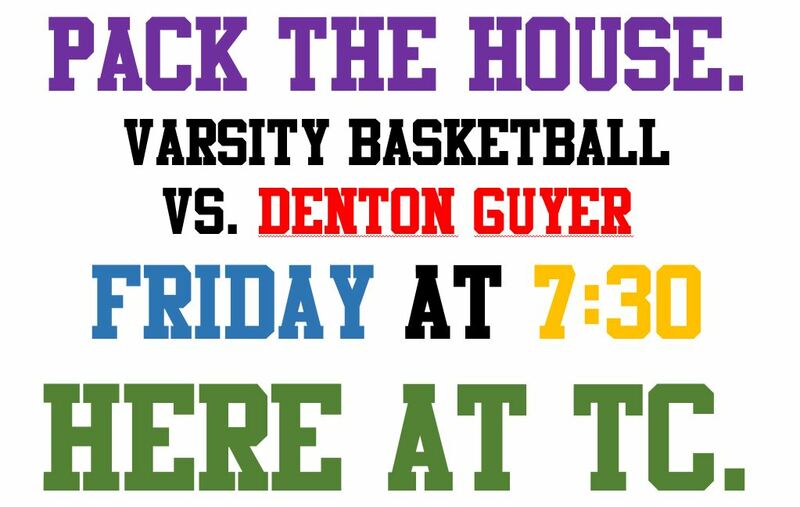 No longer tied for second place, your Timber Creek Varsity Boys Basketball Team fight for first against Denton Guyer this Friday night, Feb. 6. The standings from the Feb. 3 match ups left the two teams tied for first in district. During the Feb. 3 games Timber Creek defeated Northwest 68-57, Denton Guyer bested Byron Nelson 49-48, and Denton Ryan edged our Keller 50-49. The Keller loss helped your Timber Creek Falcons tie with Guyer going into Friday’s big game. Falcon fans plan to pack the stands this Friday night, 7:30 p.m. at Timber Creek High School. Alix Morse is a student reporter for the Timber Creek Talon, and on the varsity volleyball team for Timber Creek.